Removing ferrous from non-ferrous material is no less than a task and can be accomplished with the help of a magnetic pulley. These pulleys are designed mainly for the purpose of removing ferrous contaminants, including nails, spikes, nuts, bolts and more in the product stream. Jupiter Magnetics Private Limited, being one of the paramount Magnetic Pulley Manufacturers In Delhi has a wide range of magnetic products to serve at the market leading prices. Ensure Product Purification: During the production process, maintaining product purification is important and the use of Permanent Magnetic Pulley is the only way to attain it successfully. It helps in separating contaminants from the products and helps in material separation, which makes it a desirable product to invest in. Discharge Tramp Metal: Discharging and removing of tramp metal is important to ensure the proper purification of the production process and magnetic pulleys help in attaining the same without creating any trouble. Customizations Are Available: If you need different sizes, widths and diameters of the magnetic pulleys, you can contact us, as we have the product available in diverse specifications to meet the need of customers. 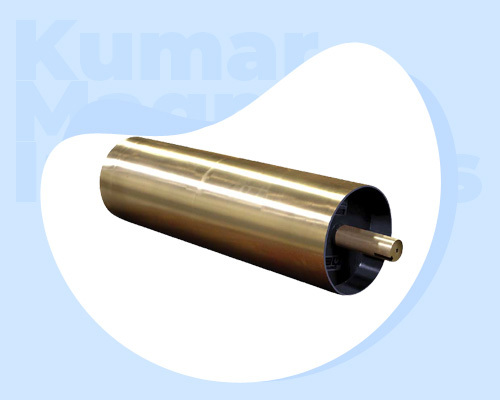 If you are interested to invest in Electromagnetic Pulleys and looking for one of the reliable Magnetic Head Pulley Exporters and Suppliers In India, we are the one you need to reach. Fill out the form available on our website to get in touch or call on the given numbers now.